Show your legs some love and respect by wearing one of the following trendy jogger pants this year. In recent times this style became very popular. Believe it or not, but these trousers can be fashionable if worn right way. Joggers got luxe this season and you better follow the trend. 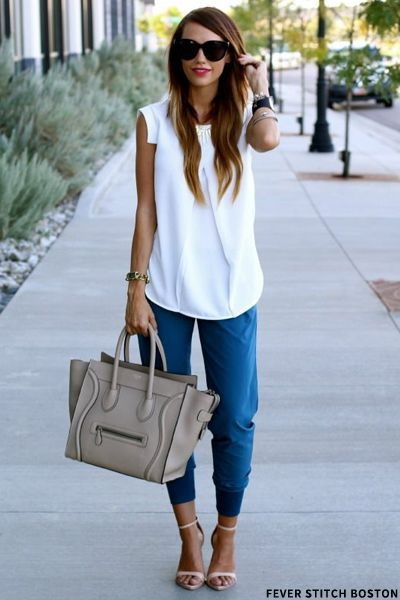 Give this casual staple a glamour spin by wearing them slouchy with your favorite wardrobe looks. This outfit looks relaxed but ideal for walking down the streets during your weekends. 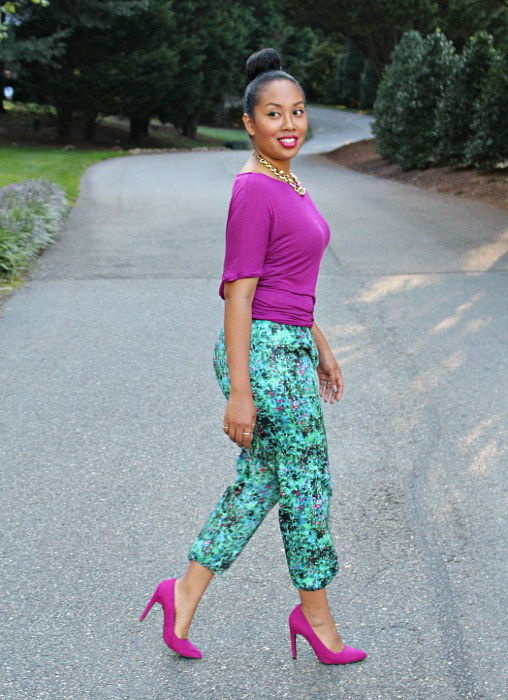 We see a salmon pink top paired with leopard print joggers and cuffed blue heel sandals. Personally, I am obsessed with joggers. Of course, there are pretty styles to wear to the gym, but many designer brands are offering ones that are great for night outs and special events. I think you have already seen this bottom garment on many ladies, at least seeing chic fashionistas in the streets. If you are still wondering or in doubt wearing these pants, then let me share with you some of the best style ideas to try. These are skinnies and tapered trousers with a high waist and you will have joggers. It's a sportswear garment what gives you an additional athletic vibe what will surely make you look special. 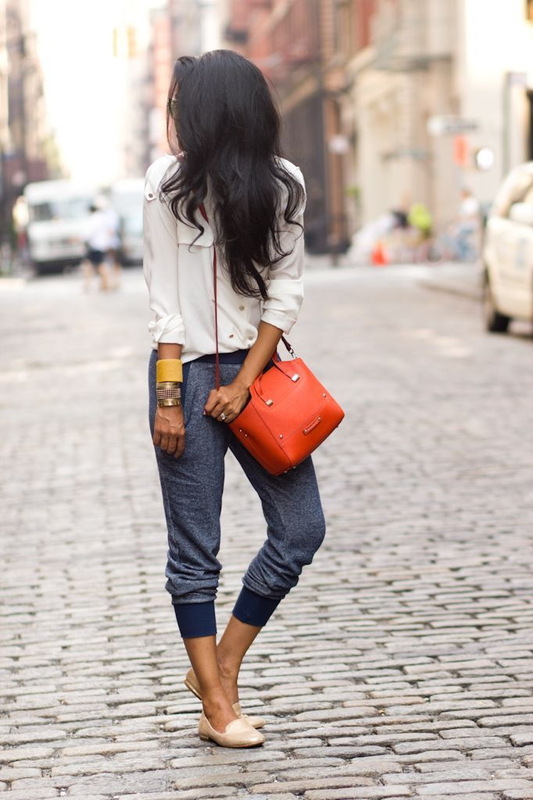 Personally, I love to see off-duty models trend that features these awesome trousers as part of high-style outfit. 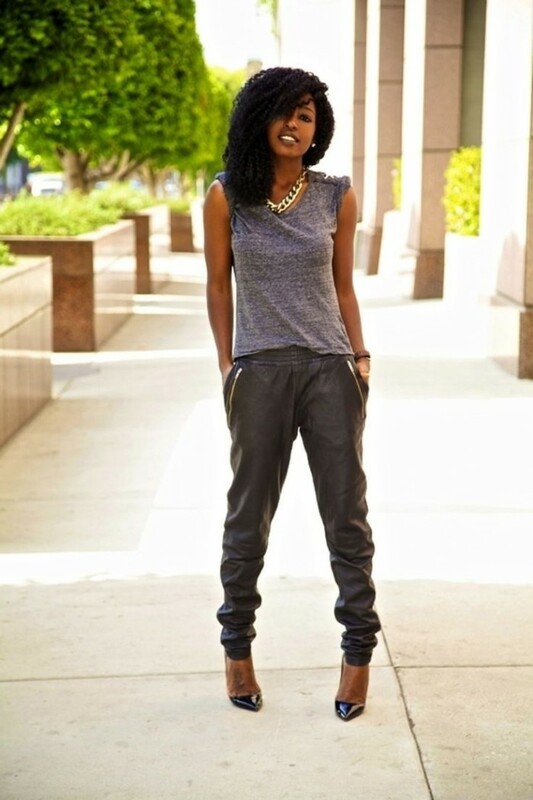 Here are tasteful tips and ideas how to wear joggers in the streets. So you better save this post into your bookmarks. These trousers are awesome. Each one is of different style. You just gave me some ideas for shopping and trending style to look after for my online robell store. Thanks for the information.